We stand behind the quality of our products, and want every single customer to be satisfied with their purchase. If you have questions or need product recommendations, please contact us at 1-877-829-7369 or email care@naturalgeni.us. For best results, ensure you follow product label instructions including drinking (at least) the recommended amount of water. Customer must contact Natural Genius (via the form below) within 60 calendar days from date of purchase in order to request a Return Authorization (RMA) number. Once the request is approved, customer will receive an email with the assigned RMA number. This number must be clearly written on the outside of the returned package to ensure proper processing. Customer is responsible for return shipping costs, and may ship via any carrier of their choosing. Opened bottles will be subject to a 25% disposal fee, while unopened bottles will receive a full refund of purchase price. Returns will be processed within 10 business days of receipt at our facilities, and customer will receive timely status updates via email. Natural Genius is unable to honor return requests after 60 days from purchase date. 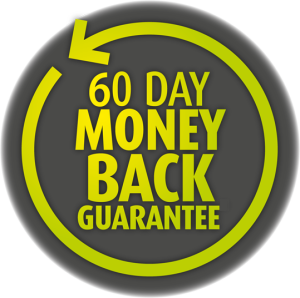 If you would still like to proceed with a return, we have a hassle-free process for you! Please use the form below to begin... and THANK YOU for trying our product(s).